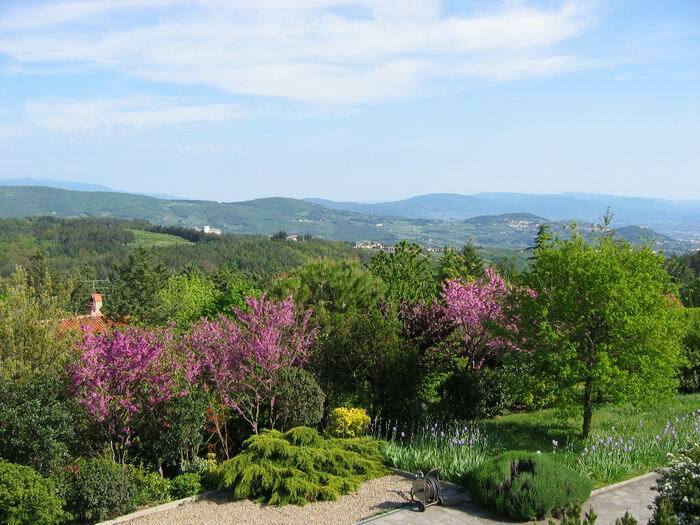 The Bed and Breakfast "Le Ginestre" is located on one of the most beautiful hills surrounding Florence, immersed in a green area, with a 360° panoramic view of Florence, Fiesole and its beautiful countryside. 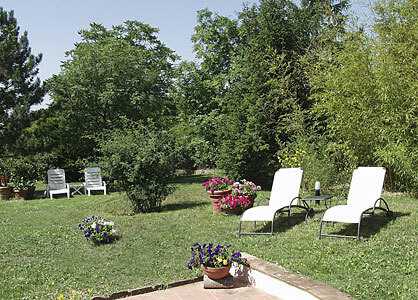 Thanks to the bed and breakfast's favourable position, the historical centre of the city can be reached in 15 minutes for pleasant visit; if you prefer you may enjoy the benefits the wide open spaces can offer: just relax, go for beautiful walks, or take advantage of the various sporting activities the area warm and welcoming house has a large private garden and solarium put at guest's disposal. 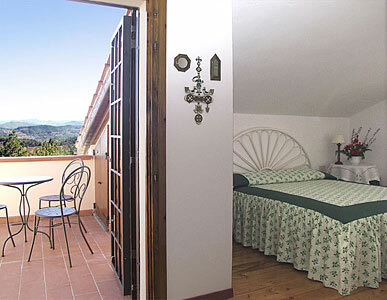 The area reserved for the B&B has an independent entrance with three elegantly furnished bedrooms, a leaving-room and a beautiful panoramic bedrooms, all with private TV, are: the White room with an independent bathroom; the Green room and the Blue room which together compose a suite with bathroom and lobby. 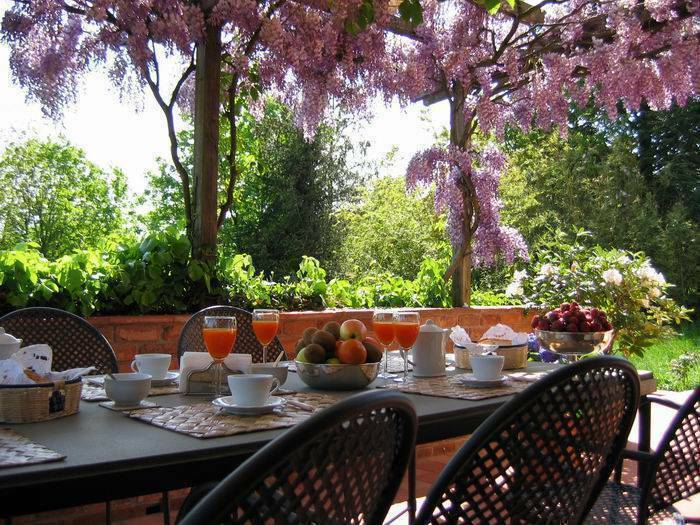 Breakfast is carefully prepared by the landlady with fresh, genuine food and home-made jams, all served outside in the warm season. Your hosts will welcome you warmly and will be glad to help in giving you information on places to visit, cultural events, local traditional festivals, in providing tourist brochures and suggesting excursions. Outlet in Barberino: many famous important firm of italian stile for your shopping. The surrounding forest area and hills are ideal for excursions on foot. The following sports may also be practiced: Horseback riding: the stable is close to the B&B. - Mountain Bike: put to your disposal by your host. - Trekking: on the numerous paths marked by the CAI (Italian Alpine Club). _ Sailing, windsurfing and canoeing: on the Bilancino Lake. - Go Carting: on the Mugello track. - Parachuting and Hang-gliding, in Galliano. 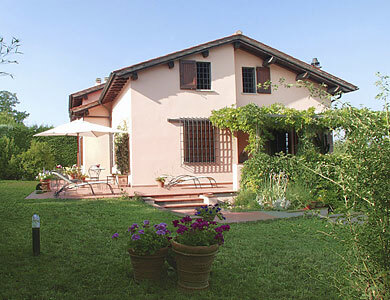 - Tennis: at the Pian di Mugnone club, surrounded by olive trees. - Swimming: in various pools throughout the area. - Golf: at he Poggio de' Medici, in Scarperia. In 15 minutes by car Piazza della Libertà just outside the historical center of Florence can be reached. Those who prefer to avoid the city traffic, can catch a train at the nearby Montorsoli station, going to the center of Florence. As an alternative, there is a bus stop 1. 5 kilometers away.